After about 20 years of school, I finally have a full-time job. I'm still not really sure how to handle this situation. For the past decade, it's been drilled into my head to do well in school to get a good job. But no one really talks about what happens after that pinnacle point when you finally abandon school for work. All I know is that right now, I've re-organized my closet into three categories: "Work clothes", "Definitely not appropriate for work", and "Maybe this will be appropriate if I throw a blazer over it". I do hope that this slip dress falls into the third category. Hands down, my new favourite dress. It's super comfy, the lace details are gorgeous, and I love how the thin straps at the back add an extra touch of uniqueness. Love this slip dress! It's so delicate, the lace hem is gorgeous! The dress is really beautiful! Why not wearing it at the office with a blazer as you said. I recently did the exact same thing with my closet after finishing my PhD -- so many years of being a student! It's weird to be in actual work mode now. i absolutely love this dark look! I love this slip dress! The lace on the bottom is so pretty. I definitely remember categorizing outfits in my wardrobe, but everything seems to blend in together now. gah, crossing over to the real world is super scary! but haha i love how you organized your closet for the event- i definitely think this dress would work with a blazer over it! i also love the delicate back of it- it's so feminine and pretty. LOVE this! That dress is awesome on you! I love that you paired this soft floral dress with a harder more combat like boot! I think that dress could work for work depending on how you style it! I've got a similar dress from H&M! You look rad! The dress is really cute. Love the lace detail at the bottom! lovely dress! love the lace hemline! Lovely slip! Cool location as well, it fits the outfit so well! It is so weird- I saw an identical dress at H&M, so it was really surprising to read that you got it from Sheinside! 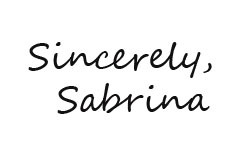 hi Sabrina, thanks for coming by my blog! I am SO in the same boat as you, working full-time for the first time! I think you're spot on, most things can be dressed up with a blazer, and honestly most offices are so casual these days anyway! haha but I definitely have a few pieces that I will under NO circumstances wear to work! I look young enough as it is. this dress is pretty and perfect for summer! love the way you styled that dress with biker boots! This is such a gorgeous dress Sabrina....yeah it is perfect for work or play with the right accessories! I love this dress and it looks amazing on you. This is such a pretty dress! I love the floral pattern and the lace edging. Such beautiful pictures and the dress is amazing! Depending on what type of dress code you have in the office, throwing a blazer over things is the best way to wear more casual clothes to work :) Won't work if you're in a really formal environment unfortunately. But an office like mine, I can even skip the blazer most days as everyone else is in jeans anyway! loving this outfit! something I would wear too! love the boots! keep in touch! You look like you are straight out of a Free People campaign!! Gorgeous dress, you look fabulous and your skin is absolutely flawless. With a tailored blazer, I'd say this would be perfect for a creative job. Best of luck in your new career. Love your dress. I think it could work for the office with a tailored blazer. I adore that festival look! That touch of lace at the end is amazing! wow that dress is beautiful, and i just love how you styled it! and gorgeous photos are always! very pretty dress, good luck with figuring out your work wardrobe & congrats on finishing school! Your dress is co pretty! Loving the studded bag too. I'm hoping to graduate this year fall and I can't wait to enter the workplace! Hopefully I can find a job :) I already think about outfits I could wear lol!